When prepares for the JEE Main 2016, one becomes acutely aware of the time that is slipping through your fingers. No amount of time is sufficient to face one of the most highly coveted undergraduate entrance exams in the country. There is JEE Mains Syllabus to be covered, referring to the latest JEE Advanced announcements to keep track off, the JEE application forms to be filled out, mock tests to be taken and all to be done in time to squeeze in some last minute revisions. 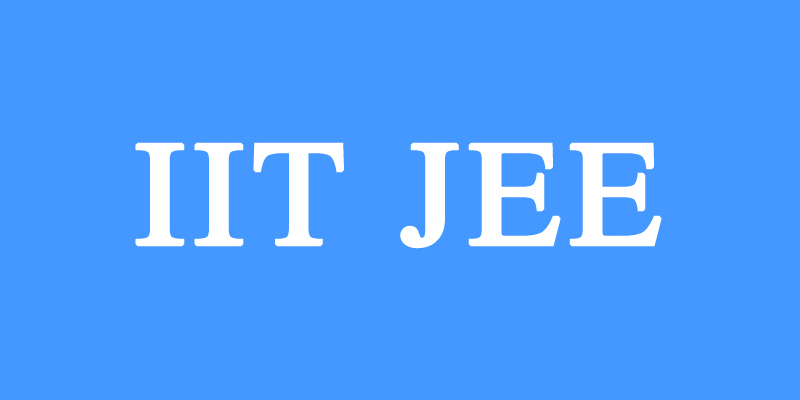 How to Prepare for IIT JEE Faster? Planning is one of the most crucial and important foundation for any sort of preparation. It helps in maintaining a more focused and constant force of studying, it also helps in accurately measuring your progress. Planning ahead helps you get a better understanding of how things are to be approached and through what means they need to be approached with. You must take care to include the huge amount of contents you wish to cover as well- referring and solving JEE Advanced 2014 and JEE Advanced 2015 papers, taking up mock tests and ensuring all this is done in a strict time frame. One cannot waste time when preparing for the JEE Mains and Advanced exam. When preparing for the prestigious JEE exam, one must be prepared to sacrifice a considerate proportion of his/her daily time and focus solely on studying. Strict discipline is called in this regard, along with planning ahead, you must allocate a hard set timing during which you will have to study and cover all the topics you had intended to cover that day. This feat will be somewhat difficult to self-studying students as well as those who have assistance, but it must be accomplished none the less. There is no such thing is wasting too much time in understanding a concept you are not comfortable with. Along with a well planned strategy and good timing, the most important factor and perhaps the most necessary of all things is focus. The greater your focus, the more likely your efforts will bear success. You need to focus on previous year question papers and solve them as you would solve the real exam. Focus on important and key points is a rule that you must follow. One needs to be well versed in all the foundation concepts in order to be able solve a complex problem. Mock Tests are one of the most essential tools in your preparation. Not only do they help you get a feel of how the real exams will be like but also they will help you understand better the sort of problems you will be facing and the pressure that comes along with it. Mock tests help in improving your speed when solving problems and also in developing strategies of your own to work on in solving particular problems. Studying in groups with the people aiming for the same goal as you will not only help you concentrate better but also helps in boosting your self confidence. When studying in groups, you learn how to interpret a particular problem in different ways and thereby choosing the one that suits you the best, understanding of concepts and points also becomes easier with much more clarity due to the numerous inputs you will be receiving. Not just that, when studying in a group, it helps you overcome the fear of the examination by sharing it with your peers. Let us take a look at the special tricks which will help you to get through the JEE mains and JEE advanced exams. Firstly self-assessment, as in knowing owns strong points and weaknesses are very important. The easiest way is to test your knowledge and skills. There are many online test forums and the respective JEE mains rank predictor as well as JEE advanced rank predictor through which you can access your current position and the level of practice you need. The whole preparation of JEE exams should be in a planned way and you have to note down the JEE mains syllabus or JEE advanced syllabus and plan the main areas to lay stress on. As the syllabus is quite large, you need to do selective studies for best results. Planning for the JEE exams is very important for knowing your strong points and also the weak points and turning the weak ones into strong ones by practice. If the weak points are not much significant from the exam point of view, you need to ignore them. The whole planning of the preparation for JEE mains 2016 and JEE advanced 2016 also includes the time for studying and the preparations. Then start solving the JEE mains 2015 question paper and JEE advanced 2015 question paper. It will help you understand the exam pattern and the previous year’s question paper will give you some taste of the exam level and also improve your preparation. The JEE advanced 2015 solutions will also come handy in the preparations for matching the results and accessing the preparation level. Internet is like an ocean of knowledge and you need to make maximum use of that. Once you have noted down your fields of weaknesses, you can take expert notes, lectures and advances question solving techniques to clear the concept. Once the concept is clear, you can easily convert the points of weaknesses into your strong zones. The competitive exams like JEE requires a lot of time efficiency. You need to practice and keep on practicing until you achieve perfection. It is also better if you keep in touch with some online medium to keep a track of your progress with the others. A lot of online mock test papers are available by which you can have a continuous evaluation of your level of practice which is most important. JEE Mains does not necessarily need to be stressful if handled correctly. Just prepare for your exams in a timely and efficient manner to get top results. How to Prepare for Microsoft Azure Certifications Exam? How to Be a Faster and Better Writer?